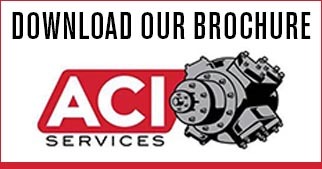 Performance Control Devices - ACI Services, Inc.
Front head clearance pockets for reciprocating compressors provide and efficient means of managing unit load and low as operating conditions vary. Properly selected Balanced Plug Actuators will improve the ability of a standard compressor package to meet your specific needs. You can now tailor the compressor package to your specific requirements with our performance support. The actuating medium and compressor gas are separated by a double seal and dual venting arrangement. This complies with API 618 by preventing the intermixing of actuating medium with the gas being compressed. No flow area is sacrificed to achieve the passage for unloading with the radial suction unloader valve as is the case with all other types of unloader valves. Typically one radial unloader is more efficient than two single deck finger unloaders, and generally they are more reliable. One radial unloader generally will perform comparably in the unloaded mode to two plug unloaders. ACI’s bypass unloaders are applicable to both new OEM cylinders and to reapplied compressor cylinders. Device actuation can be either manual or pneumatic (air or gas). The gas bypass arrangement provides efficiency advantages by avoiding interfering with valve performance. With quick reaction to changing field conditions and precise control of equipment load, your new VariPocket can maximize returns on investments by providing additional revenues. VariPockets are available for Ajax, Ariel, Dresser-Rand, Gemini, and Superior reciprocating compressor packages, and as retrofit modifications for all late model Ajax, Superior, Cooper Bessemer, Penn, Joy and Enterprise reciprocating compressors. Finger-type unloaders have small, breakable fingers pushing on the valve plates: plug-type unloaders put no direct force onto the valve plates. This major difference results in less maintenance issues in a critical component area — compressor valves. The Rotavator Unloader does not add a bunch of fixed clearance and is ideal for both low and high ratio applications. These can increase efficiency regardless of whether a cylinder end is double-acting or single-acting. Reciprocating compressors are the most efficient gas compressors available when they are operating under the optimum conditions for which they are originally designed. They rarely run at optimum conditions. In fact, without some sort of capacity control device, they would often be operating well below optimum efficiency or overloaded to a point where they would have to be shut down. As a result, many compressors are supplied with manually operated variable volume clearance pockets (VVCPs) which are often not repositioned while the compressor is operating due to the severe device oscillations which occur when the device is unlocked. The AutoPocket performs these adjustments automatically while the compressor is operating without the station personnel needing to manually unlock the device, reposition it then relock it, eliminating the need to subject the station personnel to the oscillating handles while repositioning the device.